An award from the Permanent Court of Arbitration (PCA) established the maritime boundary between Guyana and Suriname in 2007. 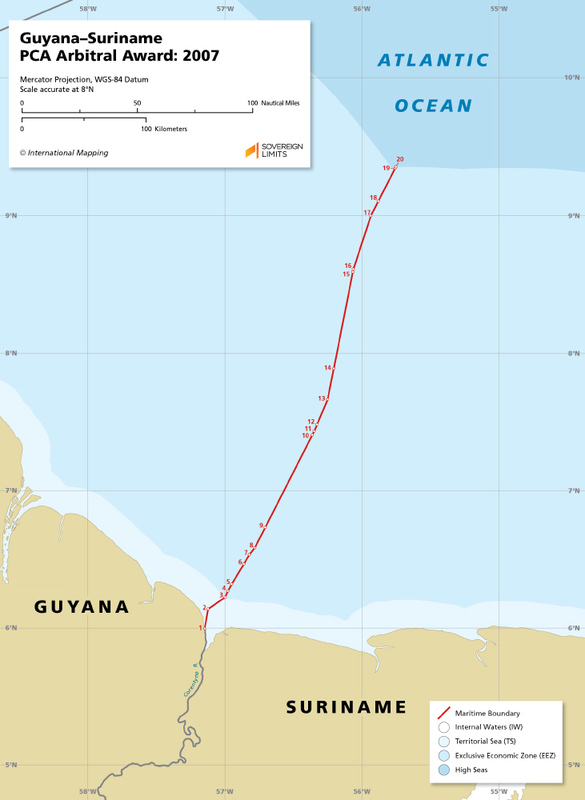 This boundary delimited a hotly contested maritime area that holds the potential for significant oil reserves. The Award followed a strictly drawn equidistance line in all but the territorial sea.